Bayliner 2255 Ciera Sunbridge boat Specifications specs. The following specs for Bayliner Boats are for informational purposes only; we do not guarantee their accuracy. 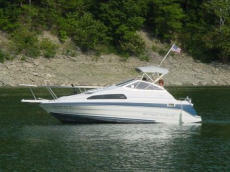 Bayliner 3255 Avanti Sunbridge Specifications. The following specs for Bayliner Boats are for informational purposes only; we do not guarantee their accuracy. Bayliner 3055 Ciera Sunbridge Specifications. The following specs for Bayliner Boats are for informational purposes only; we do not guarantee their accuracy. Bayliner 2950 / 2955 Avanti Sunbridge Specifications. The following specs for Bayliner Boats are for informational purposes only; we do not guarantee their accuracy. Bayliner 2855 Ciera Sunbridge 1994-1999 Specifications. The following specs for Bayliner Boats are for informational purposes only, we do not guarantee their accuracy. Bayliner 2855 Ciera Sunbridge Specifications. The following specs for Bayliner Boats are for informational purposes only, we do not guarantee their accuracy. Bayliner 2850 Contessa / 2855 Ciera Sunbridge Specifications. The following specs for Bayliner Boats are for informational purposes only, we do not guarantee their accuracy. Bayliner 2755 Ciera Sunbridge Specifications. The following specs for Bayliner Boats are for informational purposes only, we do not guarantee their accuracy. Chris Craft 292 Sunbridge Specifications. The following specs for Chris Craft Boats are for informational purposes only; we do not guarantee their accuracy.